Uganda Cranes Goalkeeper, Denis Onyango has missed out on the final three for the most prestigious individual accolade in African football. 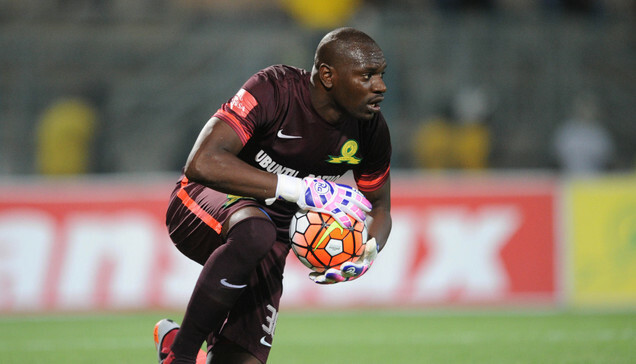 The Mamelodi Sundowns shot-stopper had earlier made the recent 10 man shortlist that was released last month. The new list released by football governing body in Africa, CAF, has only three player, Liverpool duo of Sadio Mane and Mohammed Salah and Arsenal striker Pierre Emerick Aubameyang. The final shortlist is a repeat of last year which saw Egypt and Liverpool star Salah walk away with the gong. Alex Iwobi (Nigeria & Arsenal), Andre Onana (Cameroon & Ajax), Anis Badri (Tunisia & Esperance), Mehdi Benatia (Morocco & Juventus), Riyad Mahrez (Algeria & Manchester City), Walid Soliman (Egypt & Ahly) were the other players that had made the final ten. It should be noted that Onyango has captained Uganda back to Africa Cup of Nations with still a game to spare, without conceding a single goal. The Awards ceremony, to honour footballers and officials who distinguished themselves during the year under review, will take place on 8 January 2019 in Dakar, Senegal. Gabonese icon Aubameyang, maintains his familiar status amongst the top three finalists since 2014, thus five times in a row and equaling the record of Ivorian legend Yaya Toure and Ghanaian midfield supremo Michael Essien. Four-time Player of the Year, Toure, achieved the feat (2011, 2012, 2013, 2014, and 2015) and Essien (2005, 2006, 2007, 2008, and 2009). The 29-year old will be hoping to lay his hands on the enviable crown a second time.